Home News Sergey Kovalev Is Back! Krusher Ices Shabranskyy In Two! Sergey Kovalev bounced back from back-to-back losses against nemesis Andre Ward with a crushing two-round KO of Vyacheslav Shabranskyy to regain the WBO light heavyweight title. Sergey Kovalev recovered from back-to-back losses against nemesis Andre Ward to register a crushing two-round KO of Vyacheslav Shabranskyy on Saturday at MSG, regaining the WBO light heavyweight title and looking very impressive. Any Sergey Kovalev fans who were worrying that suffering a stoppage defeat by low blows to Andre Ward would have a long-lasting effect on the psyche of their man must have let out a sigh of relief less two minutes into round one of his comeback fight on Saturday night at Madison Square Garden. 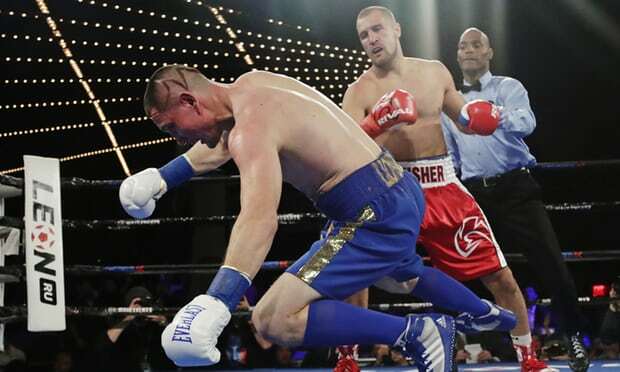 A crunching right floored Shabranskyy and ended what had been an aggressive, positive start from the Ukranian, who’d actually backed Kovalev up with a spirited attack to the head and body and wobbled him briefly with a stiff jab on the button. Shabransky was up before a count and fought back determinedly, but was floored again soon after by a heavy combination. He got up again without taking a count and was clearly out on his feet, yet managed to survive the round but had taken such a hammering the ringside doctor was called to examine him before the start of round two. 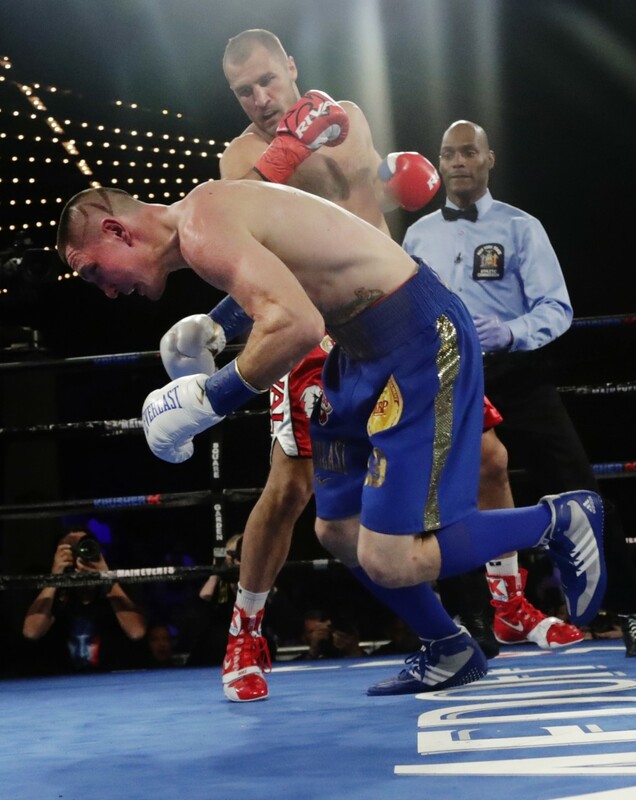 Shabranskyy looked a beaten man going into the second but to his credit he fought bravely until floored by another powerful right late in the round. Once again he beat the count, but a follow-up barrage had him on “queer street” and referee Harvey Dock wisely jumped in and stopped the fight at 2:36 of round two. 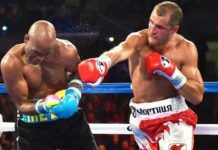 It was a highly impressive performance by Kovalev following the first two defeats of his career, both against Andre Ward and both highly controversial. There was an undercurrent of feeling among many boxing experts that Kovalev was damaged goods psychologically and might never be the fighter he once was. There was even a suggestion that a super-confident Shabranskyy might hand him his third straight defeat. 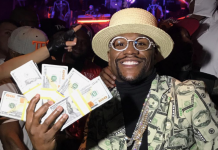 In the end, it was business as usual for the Krusher, who looked as good as he did blowing out the likes of Gabriel Campillo and Nathan Cleverly in his pomp four years ago, and will start as a betting favorite against anyone in the divsion. 34-year old Kovalev improved his record to 31-2-1 with 26 KOs, while Shabransky slipped to 19-2 with 16 wins inside the distance. Kovalev looked as good as he ever has, and will need to maintain this level if he wants to rule a division that is stacked with talent. The IBF recently crowned heavy-handed KO artist Artur Beterbiev as champion and last weekend slick sharpshooter Dmitry Bivol scored a devastating two-round KO of Trent Broadhurst to win the WBA belt. Three of the four major 175 lb. titlists are therefore Russian, the sole exception being 40-year old WBC king Adonis Stevenson who is Haitian-Canadian. Stevenson is known for two things; his devastating left hand and his history of ducking Kovalev, hence the fact that he wasn’t even mentioned when Sergey was dropping names in his post-fight interview. 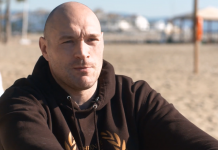 The light heavyweight division is an exciting place right now. As well as the four champions there is the talented, hard-hitting Cuban Sullivan Barrera, the fearsome Ukranian Oleksandr “The Nail” Gvozdyk, young American prospect Marcus Browne, Bernard Hopkins conqueror Joe Smith Jr and rising UK prospect Anthony Yarde, already ranked in the WBO top-ten, to name just a handful. Based on his performance against Shabranskyy, Kovalev might be the best of the bunch right now, with the extremely impressive and ever improving 26-year old Bivol (12-0, 10 KOs) being the man who would give him the most problems. Maybe Kovalev should get to Bivol sooner rather than later before the youngster becomes too good!